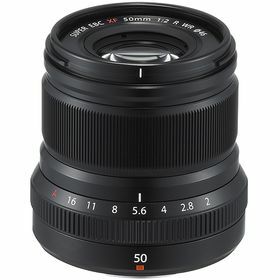 A sleek short telephoto prime for Fujifilm X-series mirrorless cameras, the black XF 50mm f/2 R WR Lensoffers a 76mm equivalent focal length to suit a variety of applications, including portraiture and still lifes. The lightweight design and bright f/2 maximum aperture benefit working in low-light conditions and also afford a high degree of control over depth of field for selective focus techniques. Autofocus is fast, precise, and near-silent to suit both photo and video shooting, and the lens is also weather-sealed and is rated to work in temperatures as low as 14°F. Additionally, a Super EBC (Electron Beam Coating) coating has been applied to individual elements to reduce lens flare and ghosting for improved contrast and color fidelity when working in strong lighting conditions. 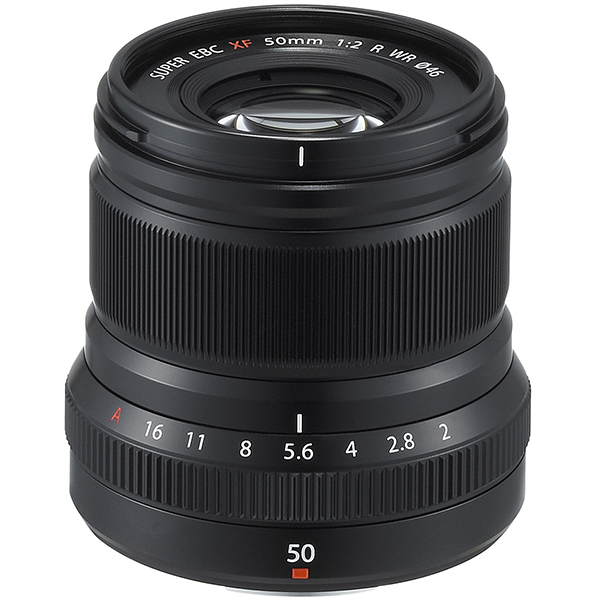 Providing a 76mm equivalent focal length, this portrait-length prime is well-suited for a wide variety of shooting applications. Bright f/2 maximum aperture benefits working in difficult lighting conditions and also offers greater control over focus when working with shallow depth of field or selective focus techniques. Autofocus performance is both fast and near silent to suit both photo and video applications. A Super Electron Beam Coating (EBC) has been applied to the lens for controlling ghosting and flare, and greater image clarity. Weather seals are placed about the lens barrel to protect against dust, moisture, and temperatures as low as 14°F.